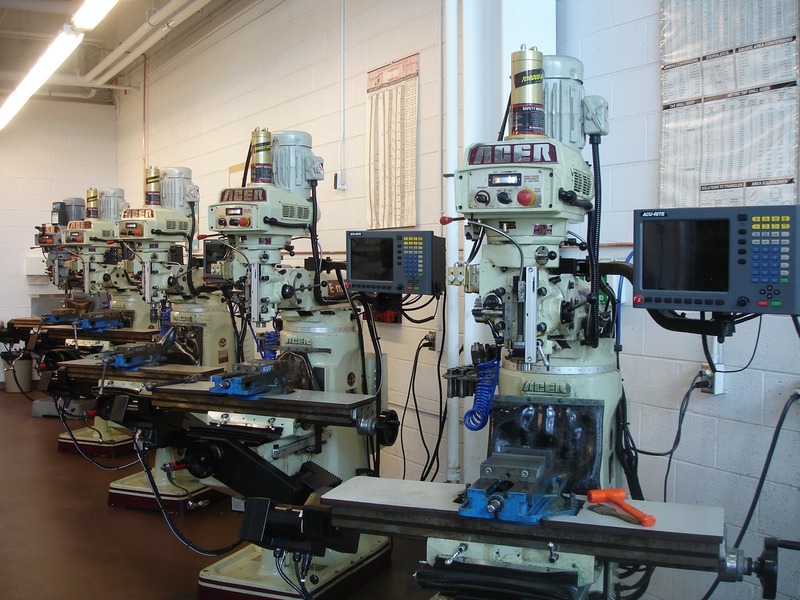 Home » G2 » Did You Know That a North Carolina College Purchased 14 G2 Controls for its New Machining Facility? Eighteen ACU-RITE MILLPWRG2 controls will soon be in use at Guilford Technical Community College (GTCC) in North Carolina. While four G2s are already in use, 14 more have recently been purchased and are being set up on mills as the college expands its Computer-Integrated Machining program to the college’s new Center for Advanced Manufacturing, which is approximately 252,000 square feet. In the new facility, the space for the machining program will increase to 24,000 square feet. 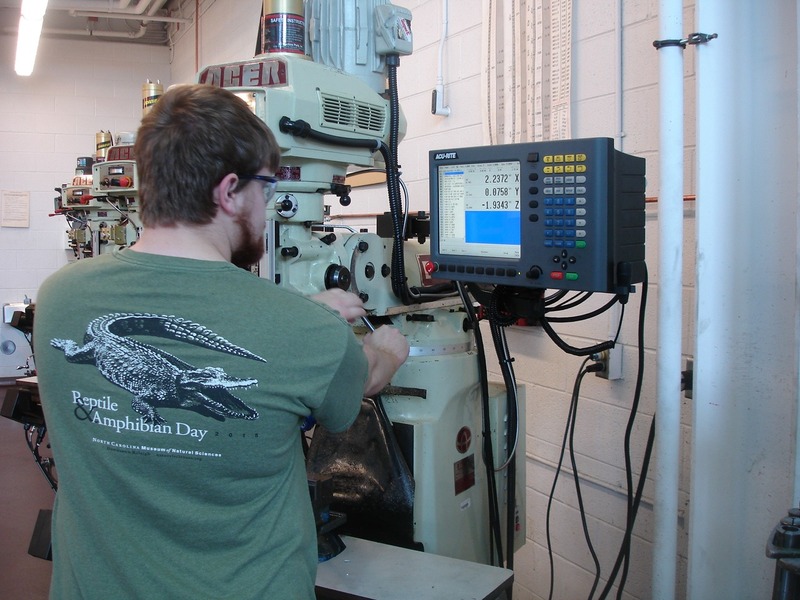 “The reason we got the G2s is to help our students transition from manual machining to the CNC side,” explained Derek Seeke, a GTCC machining instructor for the last six years. “Whatever program they come to here, students have to do at least one manual machining class.” GTCC’s Computer-Integrated Machining program offers a two-year associate degree, a one-year degree and four certificates (two manual-based and two CNC-based). “We like these new G2s because of their ease of use,” Seeke added. “The user doesn’t have to scroll through a bunch of menus to get where they need to go since there are clearly marked buttons right on the console. Seeke also added that the G2 now has software where the students can write programs directly. “We have dongles installed so students don’t even have to be on the machines themselves to write programs. They can physically program prior to even getting on a machine making it a very useful simulation software allowing students to practice programming! “By the end of June, we hope to have our own YouTube Channel up which will show our students in action and at work on the G2s!” said Seeke.